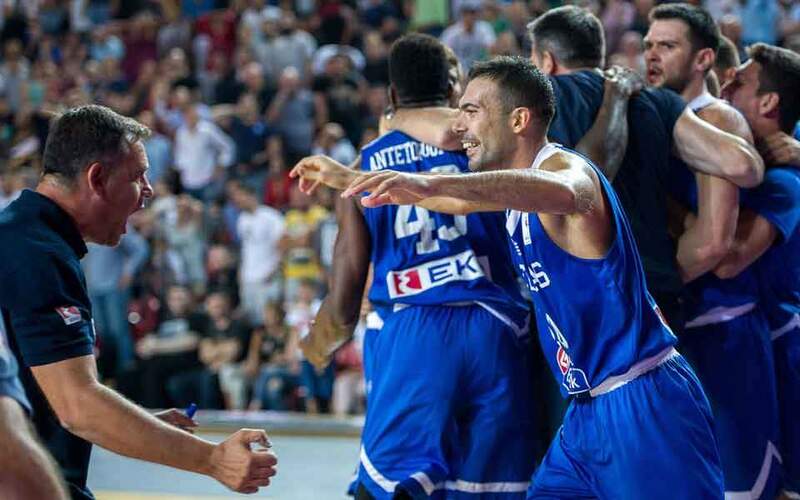 A buzzer-beating basket by Costas Papanikolaou gave Greece an 86-85 win in Georgia on Sunday as the Greeks mathematically clinched a spot at the 2019 World Championships in China. The result saw Greece extend its perfect record in the qualifiers to eights wins in as many games, reducing the four remaining games in this second stage to a mere formality – and preparation for the finals next summer. In Tbilisi Greece had a fairly poor start to the game, trailing 35-20, before reducing its arrears by tightening up its loose defense. Then in the second half it was led by an impressive Nick Calathes, who made one triple after another to put the Greeks in front 76-71. Georgia desperately needed this win, but the last-gasp effort by Papanikolaou denied the hosts and sealed Greece’s ticket to China. Calathes was Greece’s top scorer with 31 points, but coach Thanassis Skourtopoulos still needs to improve his defense. The team received the congratulations of Prime Minister Alexis Tsipras.